Gilead Sciences Inc. (Nasdaq: GILD) is facing criticism again this week for its highly priced Hepatitis C drug Sovaldi. The drug costs $1,000 per pill. According to The Wall Street Journal, many states have restricted access to the drug, leaving some patients unable to afford the treatment. But despite the criticism, Gilead (Nasdaq: GILD) stock remains one of the best biotech stocks to buy today. 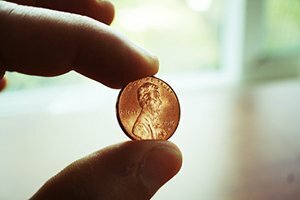 The full course of treatment of Sovaldi can cost up to $84,000 per patient. Numerous insurance companies and several members of Congress have also chided Gilead for Sovaldi's price. Because of the price, coverage of Sovaldi ranges from state to state. Texas, the state with the nation's third-highest Medicaid population, spent nothing on Sovaldi through the first nine months of 2014. The state decided not to cover the drug. 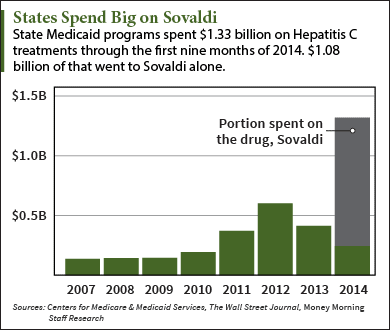 But even without any money from Texas, Sovaldi is making billions of dollars from Medicaid. The same report by The Journal indicates state Medicaid programs spent more than $1.33 billion on Hepatitis C treatment through the first nine months of 2014. The majority of that spending, 81% or $1.08 billion, was spent on Sovaldi. That $1.33 billion total was almost as much as was spent by Medicaid programs on all Hepatitis C treatments in 2013, 2012, and 2011 combined. Total spending on Sovaldi alone was $10.3 billion in 2014. That was the drug's first full year on the market. While Sovaldi's pricing has stirred outrage, the drug works. The drug is 90% effective, and has very few side effects compared to competing drugs. 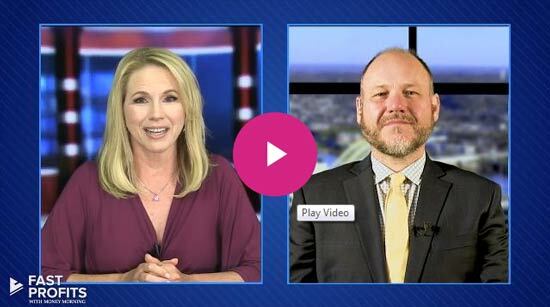 "Sovaldi is almost certainly going down in history as one of the more successful drugs ever launched," Money Morning's Defense and Tech Specialist Michael Robinson said in December. Sales of Sovaldi helped push GILD stock up 26.6% in 2014. This year, it has already climbed another 10.6%.